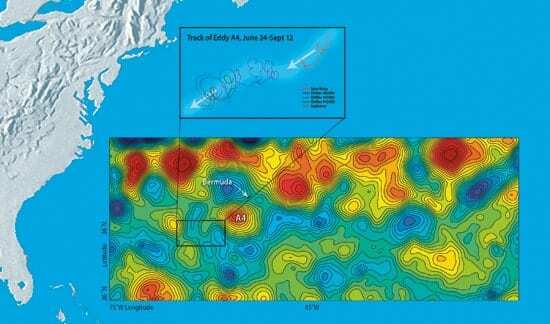 nutrients up from the deep ocean to fuel such phytoplankton blooms. McGillicuddy and colleagues published their work in the May 18 issue of the journal Science. 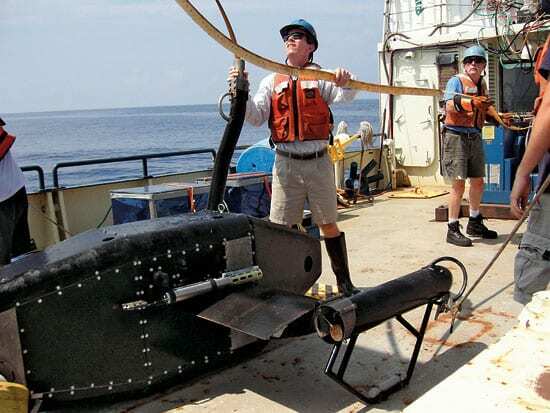 to guide the shipboard sampling. waters and sink it to the deep ocean. et al. about the roles that eddies play in marine production. and can last for months to a year. cooler “mode water” or a warmer core. zonethe top 330 feet (100 meters) that light penetrates. 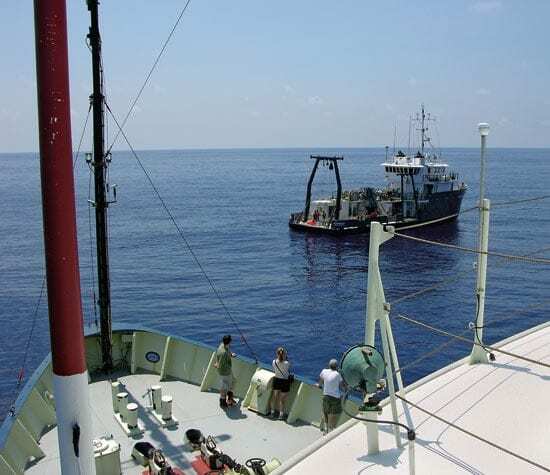 team then sailed into those eddies with the research vessels Oceanus (operated by WHOI) and Weatherbird II (operated by BIOS).